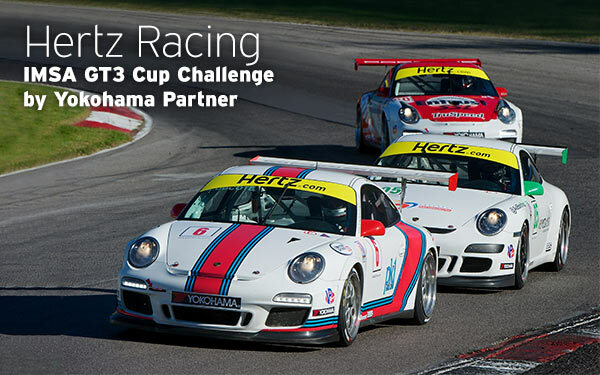 Hertz is a proud Series Partner of the IMSA GT3 Cup Challenge by Yokohama and Sponsor of the JDX Racing #11 Porsche racing in the American Le Mans Series. These thrilling race series feature the world’s most prestigious sports cars in sprint and endurance races on North America’s most legendary road courses. Discover the Hertz race car, when to watch the races, and links to our race partners’ sites below.